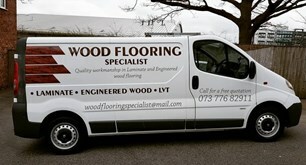 Wood Flooring Specialist - Carpets/Flooring based in Bradford, West Yorkshire. I have over 19 years experience in fitting Engineered and Laminate Wood flooring. I can supply and fit at a very competitive rate and also give a free measure and quotation, If you have all your own materials I would be more than happy to provide fitting only. I have many different styles and colours of both Laminate and Engineered wood flooring samples to choose from. If you have any questions or need any guidance please don't hesitate to contact me.